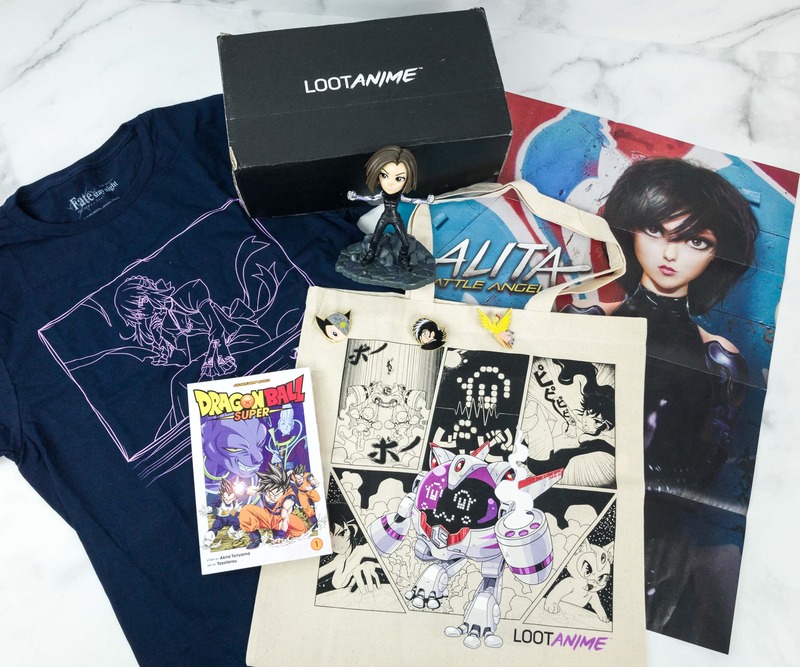 Loot Anime is a monthly subscription box from Loot Crate, just for Anime and Manga fans! Every month you’ll get $60 worth of anime figures, collectibles, manga, apparel, accessories and more. DEAL: Save $3 on your first box with code SAVE3 or 10% on any subscription plan with coupon code HELLOSUBSCRIPTION. 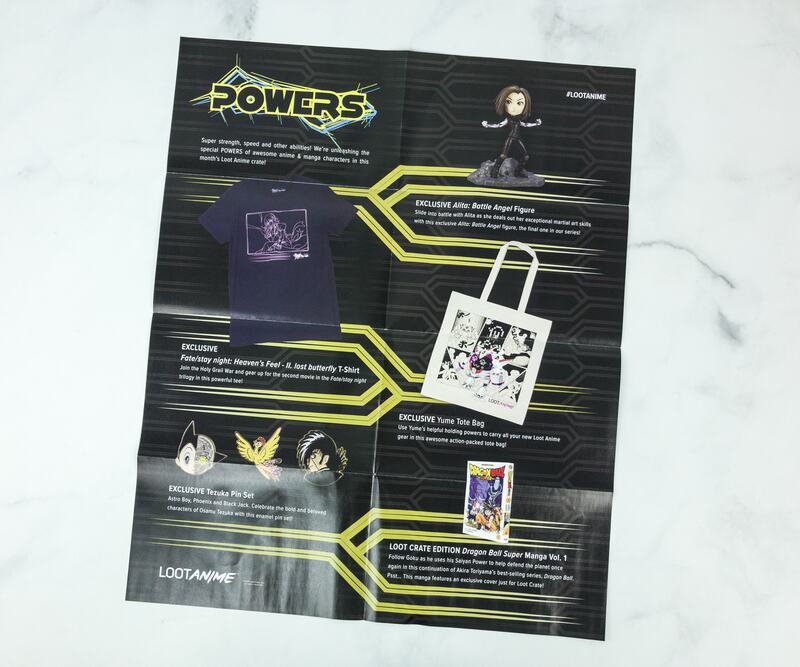 Loot Anime’s theme of the month is POWERS. The box is full to the brim! 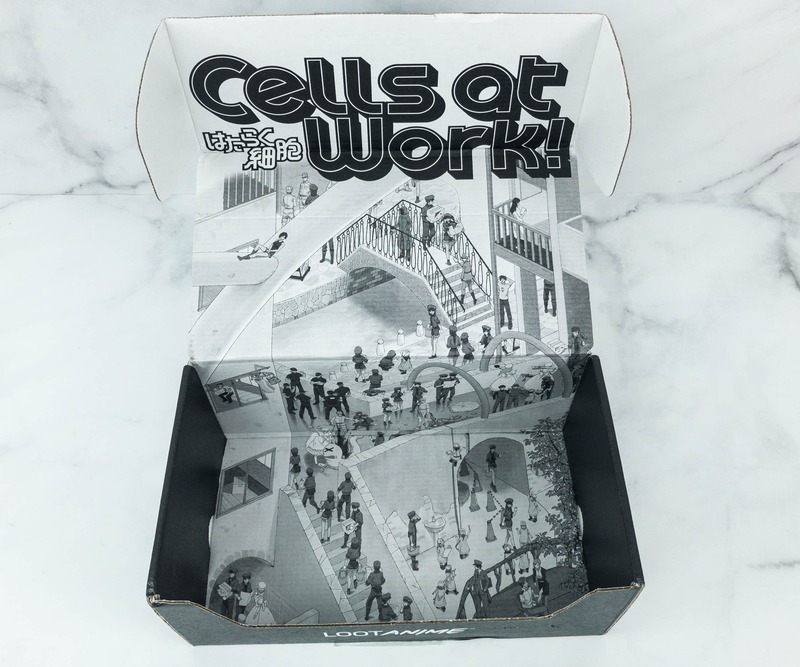 The inside of the crate features Cells at Work! 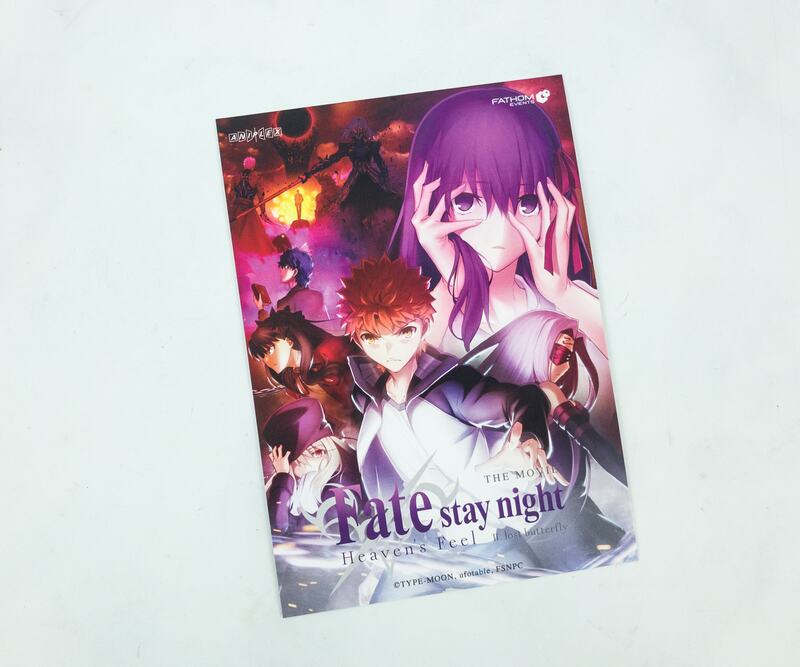 The box includes an info card about an anime movie entitled Fate Stay Night. It will be shown in theaters on March 14. The other side features another artwork from the upcoming movie. 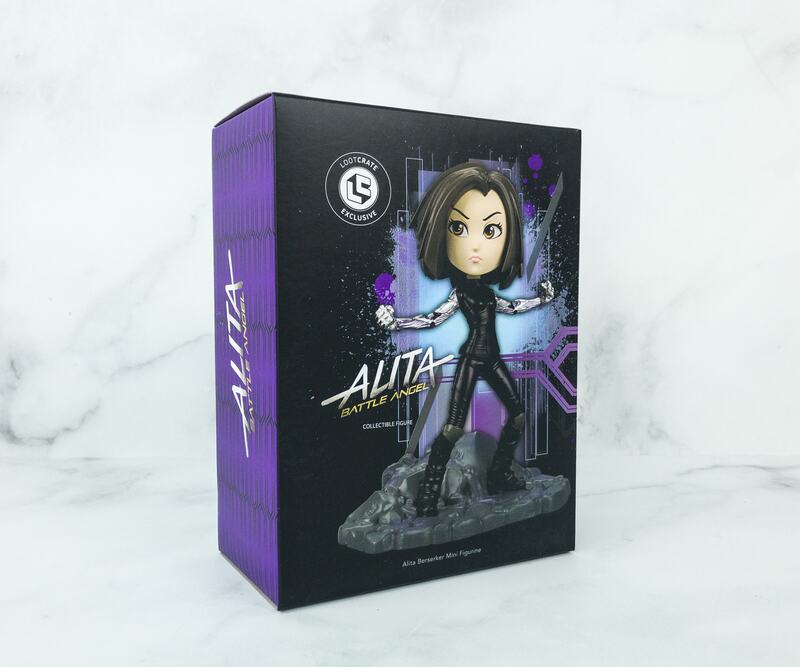 Aside from the card, this month’s box also includes a glossy poster that features Alita. The back of the poster serves as the information sheet. It lists all the anime goodies in this box. 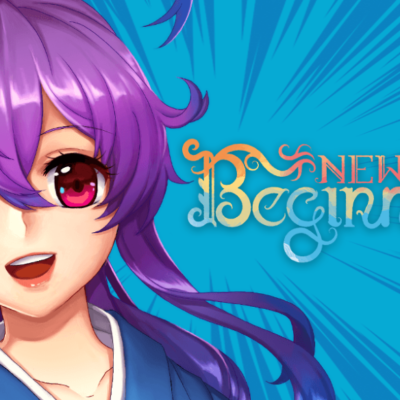 Everything in the February 2019 crate! 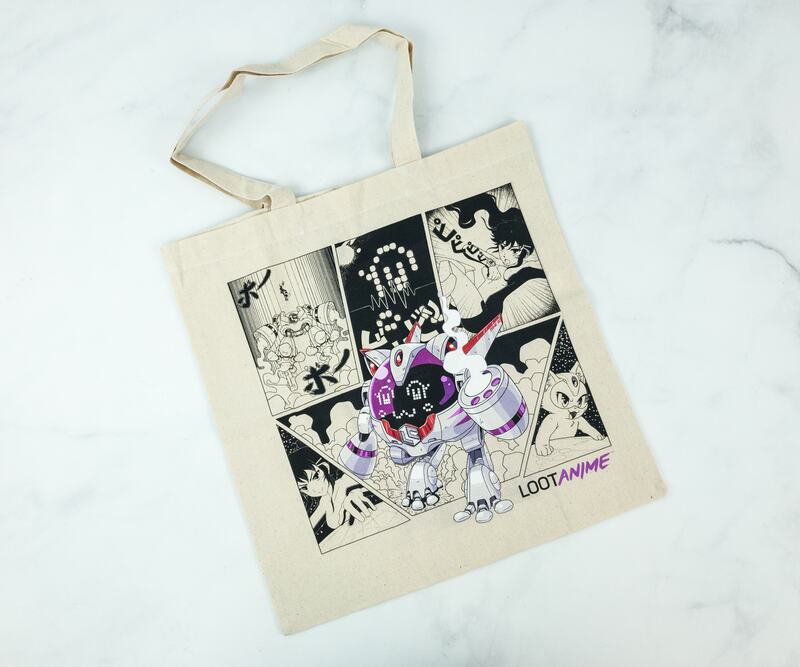 Yume Tote Bag. 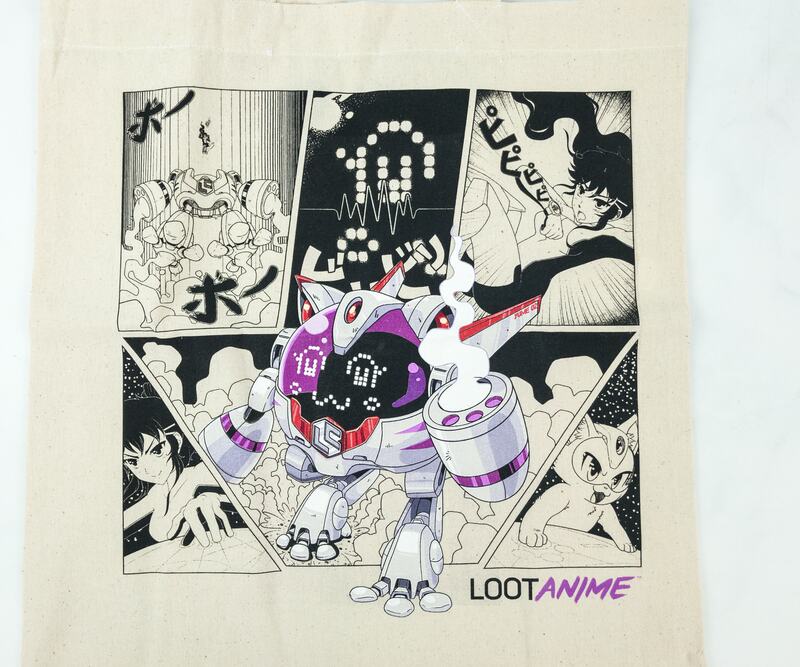 The adorable Loot Anime mascot once again graced one of the coolest items in this month’s box. 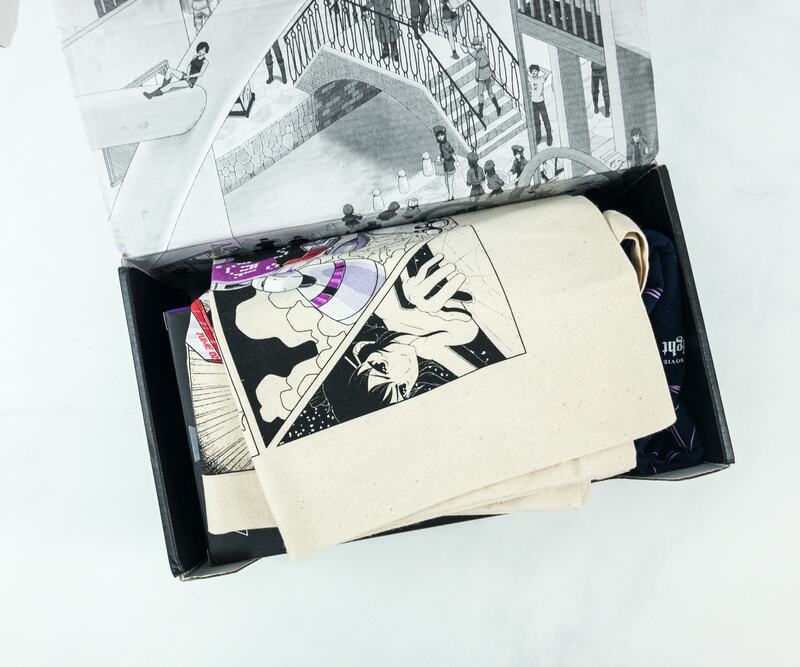 The tote has a manga print to it that’s full of action. Instead of a cute girl, Yume is shown here as a cute robot! 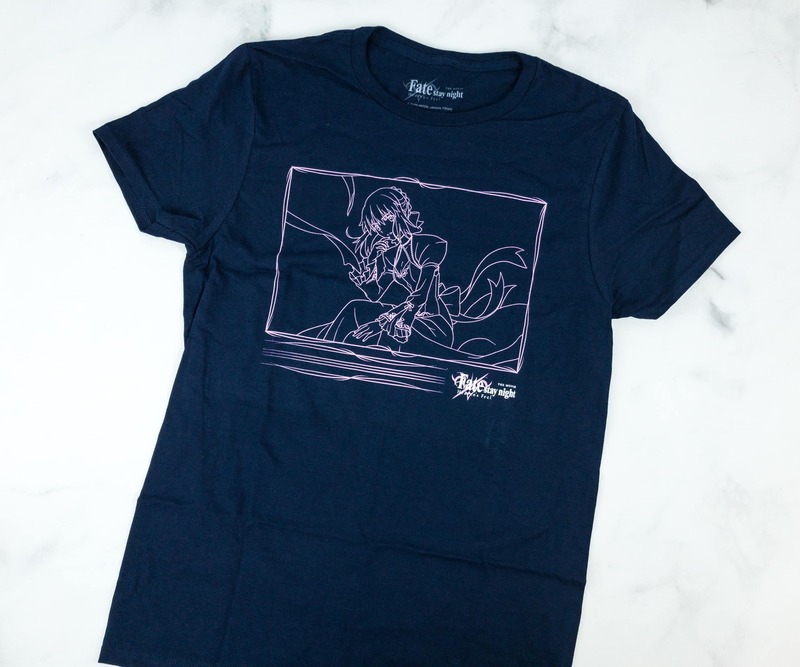 Fate Stay Night Heavens Feel T-Shirt. 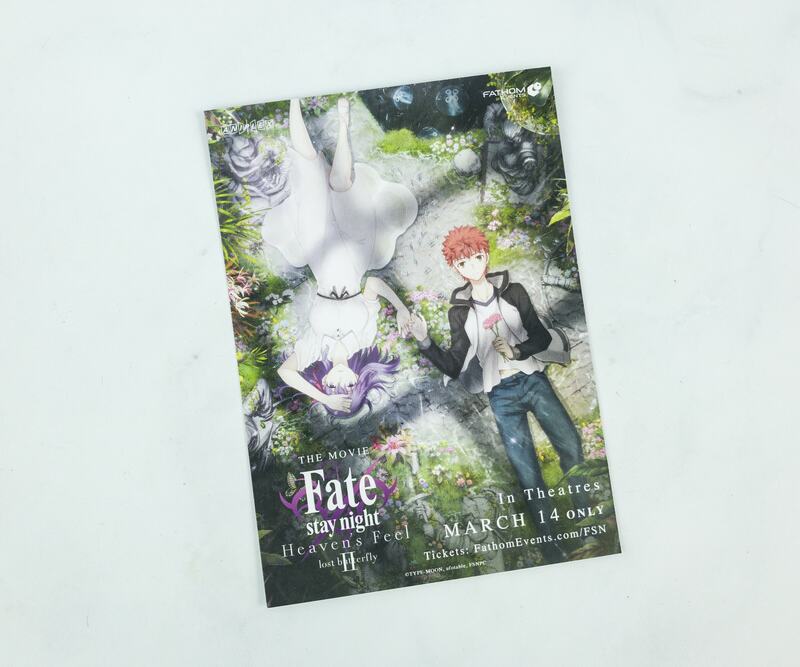 Fate Stay Night is a Japanese anime film trilogy, and for this month’s wearable, it features the second installment of this movie that focuses on the Holy Grail War. 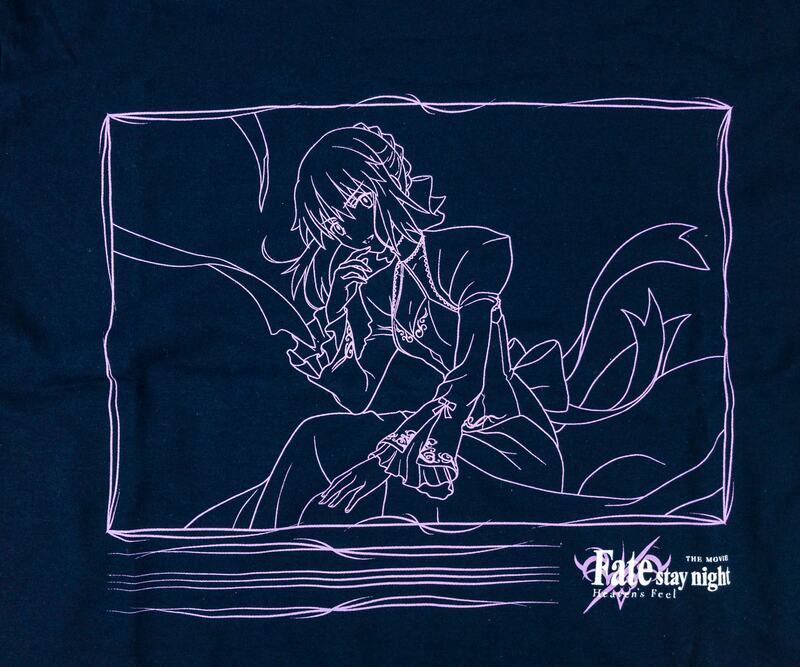 The shirt has Sakura Matou printed on it, which actually looked like a chalkboard art, if not for the really thin lines. I don’t get many shirts on this shade of blue so I am really cool with this! 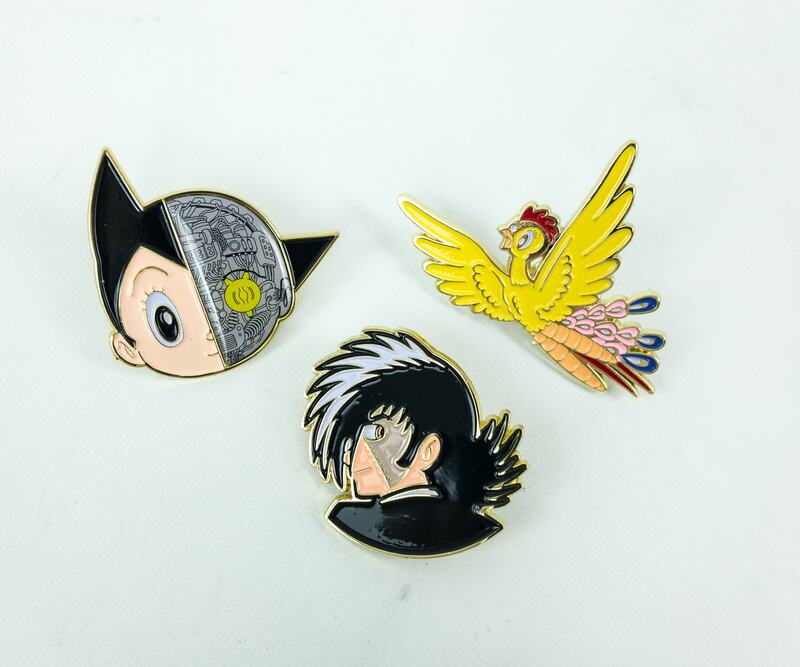 Tezuka Pin Set. 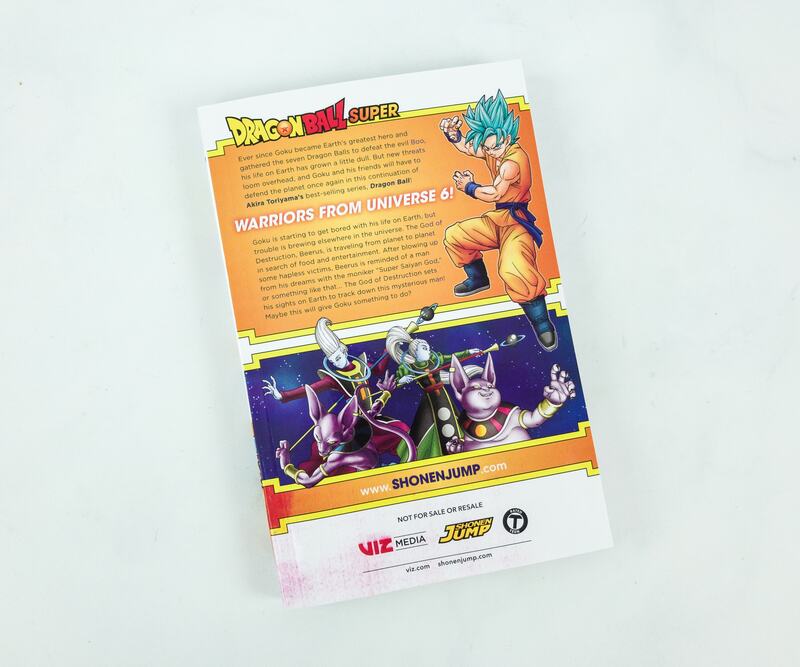 Osamu Tezuka is a Japanese manga artist known for his innovative redefinition of manga genres, earning him the title “The God of Manga.” And to pay homage to this master, Loot Anime included a set of pins that feature some of his well-known works! It features Astroboy, Black Jack, and Phoenix, which are some of his well-known creations! 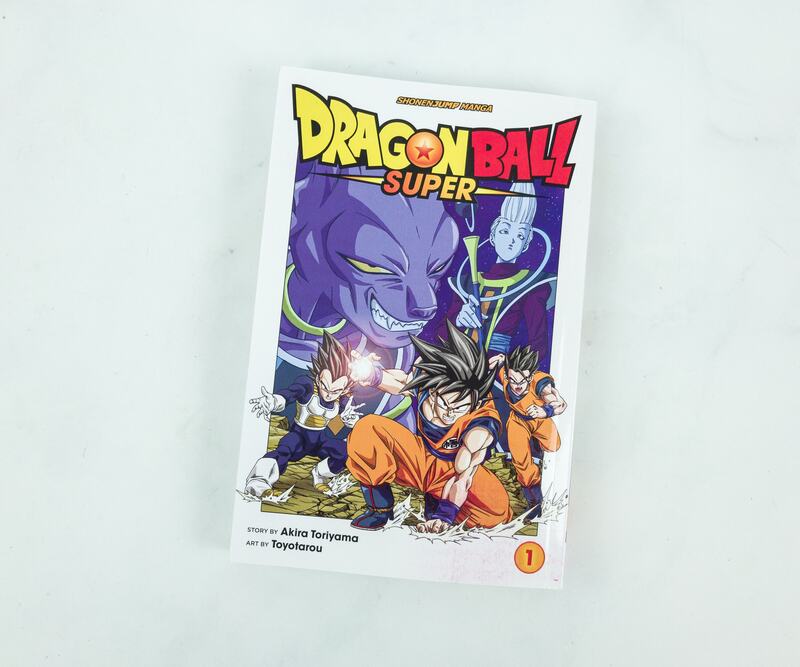 Volume 1 Manga of Dragon Ball Super. After defeating Boo, Goku started to get bored with his life, and all he wants to do is to fight and train. Also, someone else from outside the Earth is tracking him down, Beerus, the God of Destruction! This is another fun and action-packed adventure with Goku and I am also seeing Vegeta joining the fights! The manga is translated in English but still has the black and white page colors so it still has the Japanese manga feel. You can definitely picture the scenes perfectly as there are heaps of SFXs! You can feel the POWER on every illustration as well. 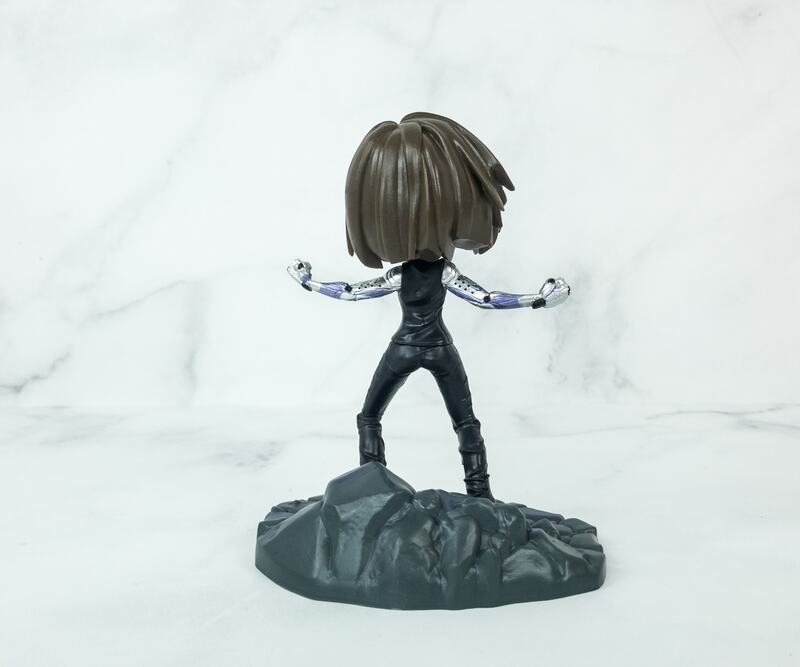 Alita Battle Angel Figure. 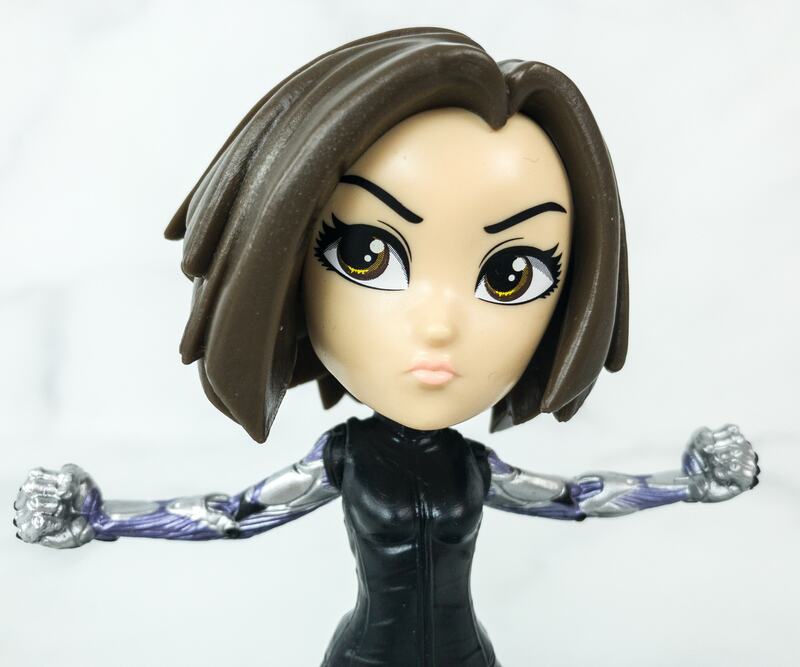 I got another Alita Battle Angel figure, just in time see it in theaters! 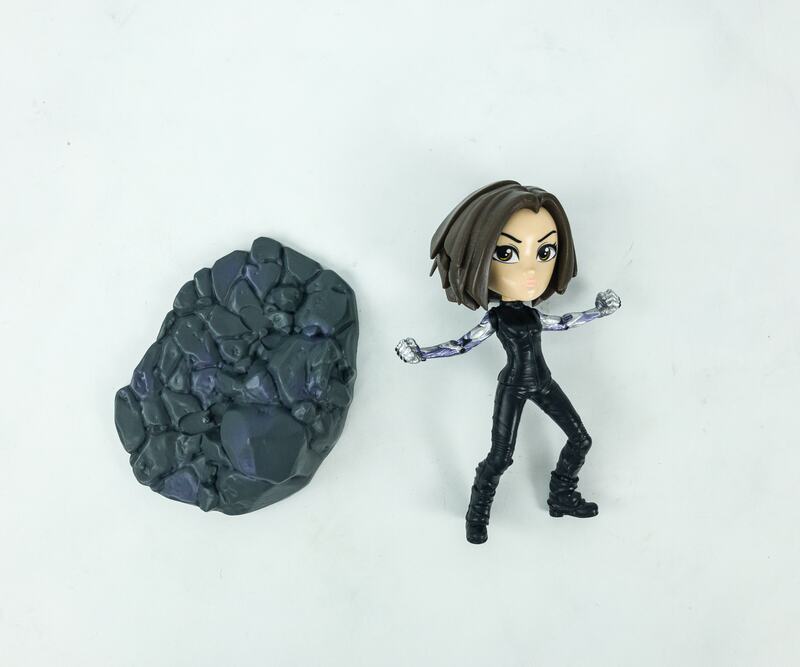 The figure comes in 2 easy to assemble parts, Alita and her rocky base! Alita is a beautiful woman, and with her Berserker body, she wears hunter-warrior appropriate attire of black sleeveless leather top, tight leather pants, and knee-high boots. The details on this figure are adorable! I love how her cyborg arms are showing up! Aside from being a great fighter, she is also known for her fierce determination and willingness to help and back up with force when necessary. 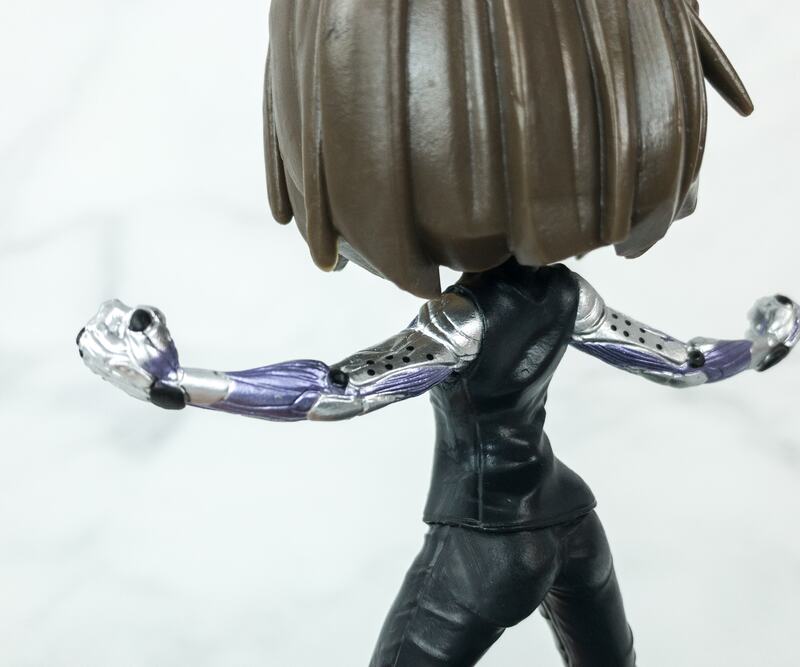 You can actually see the details on her exposed arms. You can definitely feel how powerful and great hunter she is as well. 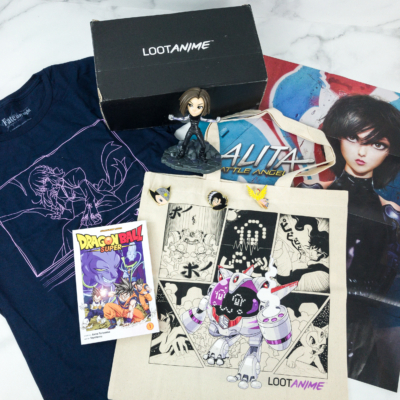 It’s another great month for Loot Anime, and the box is really powerful with all the inclusions! The tote bag is cool and useful, as well as the Fate Stay Night shirt. 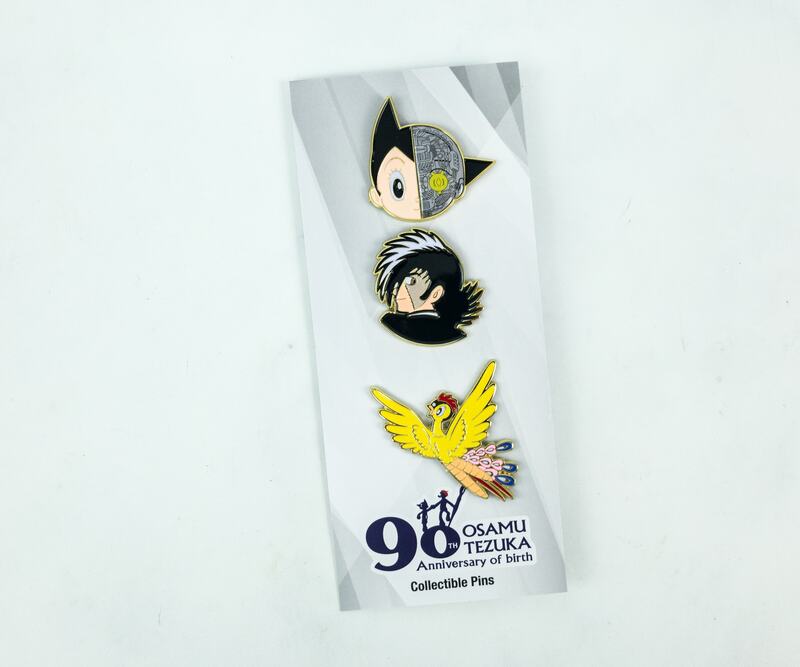 The pin set is epic as it features some of Osamu Tezuka’s popular and great works. It’s such a wonderful collectible item. 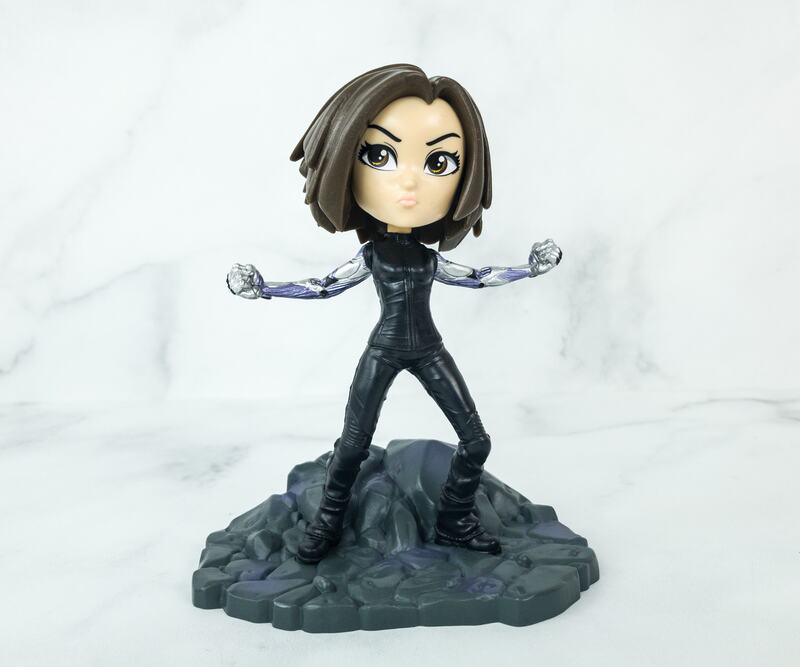 And of course, my favorite, the Alita figure is also a nice addition to my action-packed figures collection! We were happy to see another figure in the box again! What’s your favorite item from this month’s Loot Anime? 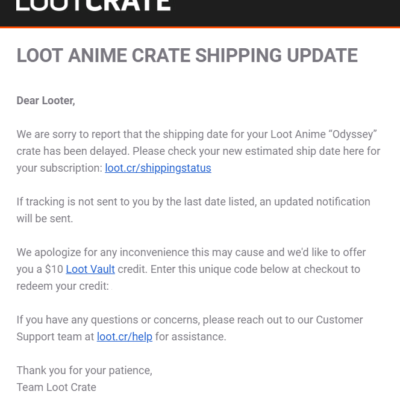 Visit Loot Anime to subscribe or find out more! 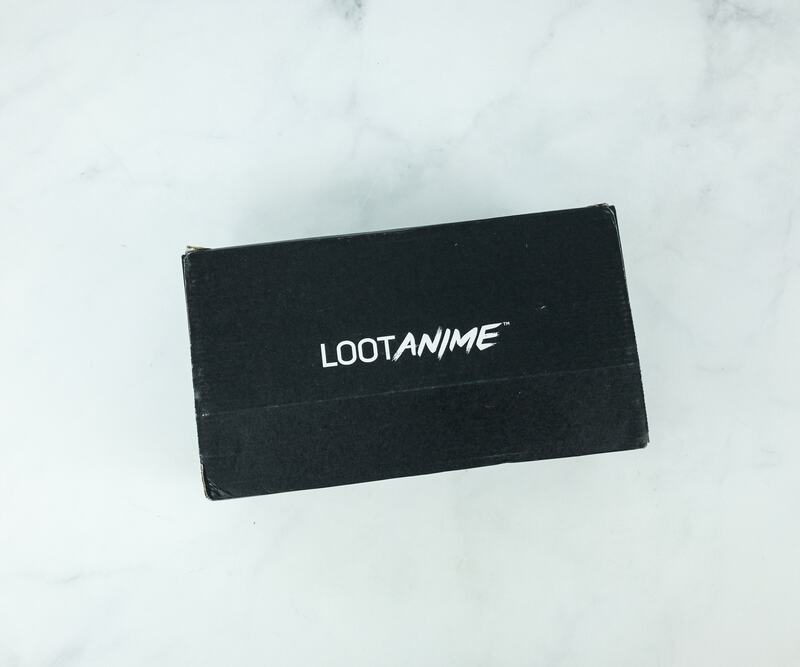 Loot Anime is a monthly mystery bundle of figures, collectibles, manga, apparel, accessories and more from some of your favorite anime and manga series with a new theme every month! 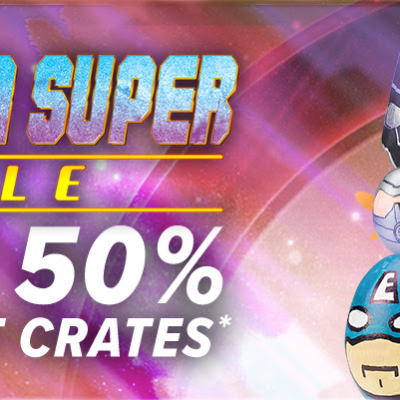 $60+ value in every crate! From Loot Crate! Save $3 on your first box! Use coupon code SAVE3.